Lakewood Ranch Medical Center and Sleep Works, a national sleep center organization, are working together to provide patients who have sleep disorders with the advanced technology and treatment they need at our Sleep Center. 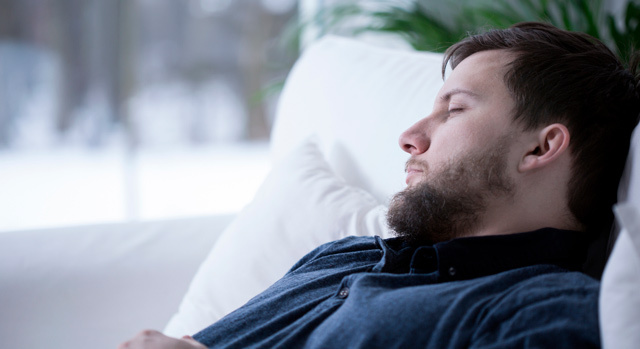 If you are diagnosed with obstructive sleep apnea, your doctor will usually recommend the use of a continuous positive airway pressure (CPAP) device. A CPAP device includes a mask that is worn while you sleep. It fits over the mouth or nose only and blows a gentle, steady stream of air into the airway to help keep it open during sleep. Other treatments include dental appliances and surgery. Research indicates that getting adequate sleep is vital to health and proper function. Chronic sleep deprivation impairs brain function as well as certain physical processes. Even losing just a few hours of sleep per night can have a dramatic impact on memory, judgment and concentration over time. Lack of sleep also reduces the body’s ability to process sugars and increases stress hormone levels, which can lead to more serious problems. At Lakewood Ranch Medical Center, we are helping lead the way to a greater understanding of sleep. Dedicated to helping you get a good night’s sleep, we are proud to offer an advanced Sleep Center for diagnosing and treating sleep disorders. Children can suffer from a range of sleep disorders. Often, younger children between ages two and nine can demonstrate hyperactivity, impaired attention and behavior problems. They may even become combative before sleep. A sleep disorder can disrupt a child’s growth hormones, which can cause growth issues, learning disabilities and problems in the development of the jaw and facial structure. A child’s small airways can be further reduced with tonsils and adenoids problems. If your child has trouble sleeping, consider a professional sleep study to determine if he or she has a sleep disorder. The Sleep Center at Lakewood Ranch Medical Center treats children ages four and older. Our facility follows the American Academy of Sleep Medicine standards. Every aspect of your care is carefully managed using specially designed software unique to our practice. After your sleep study, the results will be compiled and forwarded to your physician. We offer a level of technology that provides accurate answers to your sleep problems faster. We are a results-oriented center, which is why we offer care that is informed, effective and personalized. Regardless of your sleep difficulty, we want you to get the restful, restorative sleep your mind and body require. We’ll treat you with compassion, warmth, caring and kindness, and you can rely on us to answer all of your asked questions. Since a good study of your sleeping patterns requires that you are comfortable, our sleep study rooms are more like hotel rooms than hospital rooms, complete with big, comfortable beds. We have decorated them to help you feel comfortable and at home. The Sleep Center is conveniently located on the first floor of Medical Arts Building 1 on the Lakewood Ranch Medical Center Campus. For more information about the Sleep Center, call 866-520-5646.